KUNG-FU MASTER WEIGHS REALITY WITH HOLLYWOOD. HOLLYWOOD VS TRUTH IS LIKE ‘YIN AND YANG,’ HE SAYS. Gerald Okamura is to Kung-Fu what Babe Ruth was to baseball, cowboy Casey Tibbs was to rodeo, Muhammad Ali was to boxing and Jim Thorpe was to football. He is a master of his art. When I asked the 73-year-old grandpa what he did for a living, he gazed at me with dark, unrelenting eyes accentuated by menacing eyebrows. The head was clean shaven. The well-groomed billy goat beard reached below his muscular neck. “I am an actor-stuntman,” he said. 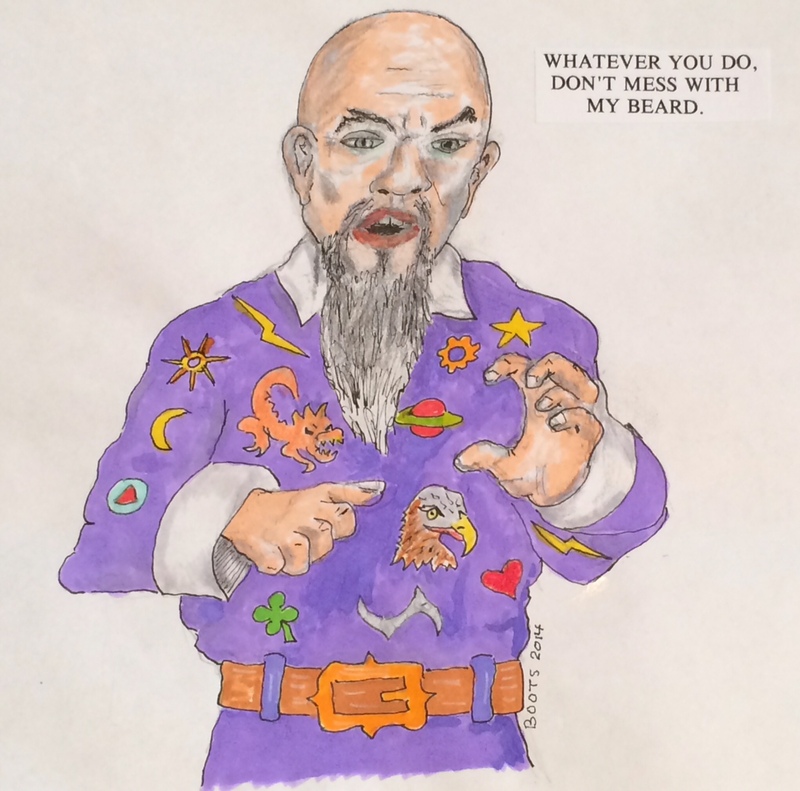 With that beard and hairless dome, I told him, he looked like one of those Shaolin priests who performed with David Carradine in “Kung-Fu,” a popular TV series in the mid-1970s. “That was me,” he admitted. “What kind of actor are you?” I asked. “A lousy actor,” he said as his tight lips cracked into a smile. “For God’s sake, Gerald, you’re smiling!” I teased. Yet Gerald, a Japanese American born in Hilo, Hawaii, had delivered karate chops to stars ranging from Mel Gibson to James Caan. How does a Grand Master in Kung-Fu and San Soo compare Hollywood with martial arts? Man, I wish I knew all the different types of people you’ve met.